Dr. Nicole A. Cividanes was born and raised in City Island, Bronx, NY. Being the first in her immediate family to attend college, she graduated Magna Cume Laude, receiving her Bachelor’s in Radiographic Sciences, from Manhattan College. 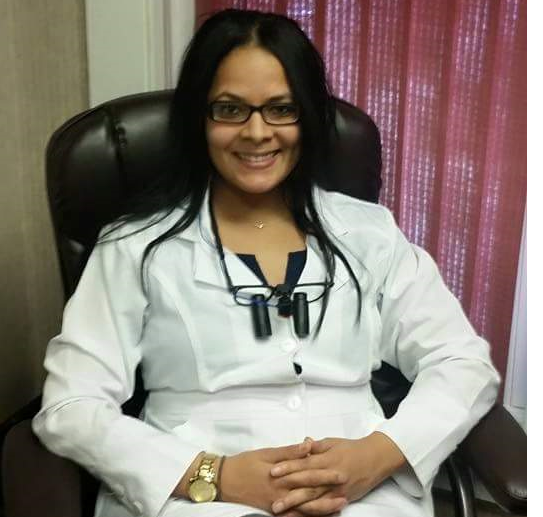 Dr. Cividanes then went on to receive her Doctorate in Dental Medicine from Temple University in Philadelphia, PA and completed her General Practice Residency at Harlem Hospital in NY. Dr. Cividanes specializes in all facets of dentistry including, but not limited to, laser dentistry, mini dental implants, oral surgery, dentures, root canals, adult and children’s dentistry. With her warm personality and ability to connect with patients on all levels, Dr. Cividanes creates an environment that caters to any patient, even the apprehensive or fearful ones. For Dr. Cividanes, dentistry is both a passion and an art form. She strives for perfection with each patient, and focuses on designing restorations that look and feel natural. Outside of work, Dr. Cividanes dedicates herself to helping others with similar upbringings. She takes great pride in motivating young and old minds alike to follow their dreams and realize their potential, even under adverse circumstances. Her hobbies include watching her beloved Dallas Cowboys with Emmitt (her little fur baby), enjoying and exploring the great state of Maine, and spending time with friends and family. Dr. Cividanes is also excited to announce the upcoming arrival of her first born child in November 2015. Dr. Cividanes is a current member of the Penobscot Valley Dental Association, a member of the Maine Dental Association, the Academy of General Dentistry and a member of the American Dental Association. I, Nicole A. Cividanes D.M.D. would like to thank you for visiting our website and for considering our practice, Brewer Family Dentistry, as your new dental home. I recognize that choosing and visiting a dentist can be stressful. It is our goal to minimize that stress and provide a comfortable dental environment for you. I look forward to meeting you and answering any and all questions that you may have regarding your teeth.